Alaska Court Reporters | National Court Reporters, Inc.
Searching for Alaska court reporters who can deliver timely services, without compromising on accuracy or quality? National Court Reporters Inc can deliver! Our tenured team of litigation support specialists use the best in state-of-the-art technology to assist you in whatever capacity your case demands. We offer everything you need, from real-time transcription to video conferencing services and beyond, we aim to be your go-to resource when it comes to comprehensive court reporting in Alaska. Thanks to our national network of certified court reporters, we’re able to work with legal professionals throughout the region, offering our services at any time they’re required, 24/7. Our Alaska court reporters arrive on-time, ready to meet the unique and specific demands of your case. From pretrial proceedings, to conference room bookings for depositions, to video transcription services, count on us to do it all. 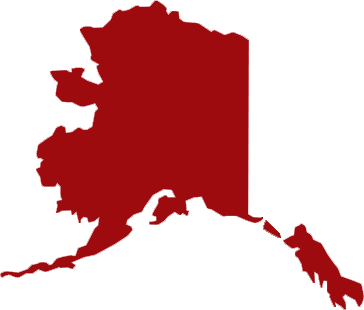 Need a court reporter in Alaska today? Waste no time in contacting National Court Reporters Inc right away! Our services are available to legal professionals throughout the state and nationwide.